Cassy began her time at Reading Partners as the first full-time staff member in Seattle, and was responsible for launching the Seattle program in its founding year. Since then, she has been privileged to work in several different roles, first as community program manager, then as program director, and now as executive director. Cassy previously taught middle school through Teach for America in Washington, DC and loved working with her amazing students there. While completing her undergraduate degree, she interned at the U.S. Department of Education and also worked as a teacher’s assistant in an early childhood center and student-taught in an elementary school. Cassy received a bachelor’s from Middlebury College and a master’s in special education from George Mason University. She is passionate about expanding opportunities for students in the Seattle community. Maya is extremely excited to return to the Reading Partners Seattle as a Program Operations Associate. Maya served two AmeriCorps terms as a Reading Partners Site Coordinator in the Seattle region, and is extremely grateful to the inspiring community of volunteers and educators who fostered her start in Seattle's education landscape. Having received her bachelors degree in Spanish literature from the University of Chicago, Maya is an avid reader in Spanish and English. As a proud graduate of the Los Angeles Unified School District, she considers her high school teachers to be her personal heroes. Maya is currently pursuing a masters in teaching with the Seattle Teacher Residency at the University of Washington. Ellen Hoffman is originally from the DC metro area and spent her college years in Ohio where she received her bachelor of arts in women’s and gender studies with a minor in music at Kenyon College. While there, she volunteered as a tutor in a local elementary school, where she learned how effective and rewarding one-on-one tutoring can be! In early 2017, she drove from Washington, DC to the west coast volunteering on organic farms, and ultimately settled in Seattle. She has previously supported fundraising efforts at the DC Jazz Festival and Cascade Public Media, parent organization to KCTS 9 and Crosscut. She loves to read in her free time and is passionate about making literacy accessible for all students. Katie is excited to return to Seattle after three years as a Peace Corps volunteer in Gulu, Northern Uganda. Her first two years in Gulu she worked as a literacy specialist at Gulu Prison Primary School where she enjoyed co-teaching reading lessons and helping develop the school’s library. Her third year she worked as the Education and Development Manager for READ for Life Uganda where she had the opportunity to teach literacy instruction courses in Gulu’s teacher training colleges. She graduated from Pacific Lutheran University with bachelors’ degrees in women and gender studies and English writing. She is passionate about social justice, feminism, and the potential of children’s literature to create space for learners to explore how they understand themselves and the world. A Nevada native, Fatima earned her degree in international business from the University of Nevada, Reno. Following graduation, she began working for an environmental non-profit where she was given the opportunity to help with organization’s naturalist program, sparking her love for children’s education. 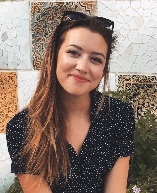 Continuing to follow her passion, she went on to earn her certification in TEFL before moving to Spain to teach ESL at a primary school in Madrid. Fatima is excited to now be joining the Reading Partners team in Seattle and is looking forward to serving her new community as the site coordinator for Highland Park Elementary. She loves spending her free time outdoors, hiking and camping, never without a good book to enjoy along the trail. Midori is very excited to join the Seattle Reading Partners team as a site coordinator. Midori recently graduated from Occidental College in Los Angeles with a bachelor’s degree in psychology and minors in education and kinesiology. She is passionate about education and loves children. At Occidental, she was a part of the community literacy program in which she worked on literary skills with students from the local elementary and middle schools. Her love for children goes beyond books. A four year NCAA basketball player, Midori coaches elementary and middle school basketball as well. She is looking forward to improving literacy through her role of site coordinator as well as sharing some of her favorite childhood books, The Giver and The Magic Treehouse series. Midori loves playing basketball, trying new foods, and spending time with her dogs. She cannot wait to start her work with Reading Partners and help students continue to strengthen their love for reading and education! Joseph joins us from Southern California and is extremely excited to be joining the Reading Partners team. In 2015, Joseph graduated from the University of California, San Diego with a bachelor’s degree in English literature. Since then, he’s been lucky enough to be a part of the opening of Amazon Books in San Diego and later transferred to the Seattle location in order to begin a new adventure! His passion for language, reading and writing has driven his volunteer work, including teaching ESL to adults through his local church. Joseph is excited about using the experience and knowledge that he will gain from this year with Reading Partners and applying it towards a future master’s in education. He loves reading, cooking, playing board games and watching movies, and he can’t wait to get children excited about going on new adventures through books! Claire received her bachelor’s in interdisciplinary liberal studies, with honors, from Seattle University. At Seattle University, Claire focused on psychology, education, community studies, and social justice and published research on middle school service learning. For three years, Claire worked as a lead academic mentor at Washington Middle School, supporting students in humanities classrooms, through after school programming, and via one on one mentoring. In 2017, Claire was awarded a grant from the U.S. State Department to create an after school literacy program for middle school students, using novels to explore themes of social justices and foster community within Washington Middle School. During her gap year, she completed an 8 week internship at Circle Scotland, a social work nonprofit supporting vulnerable families and children. Since 2015, Claire has served on the leadership team of the St. Patrick’s Sister Parish Committee, fostering a 25+ year sistering relationship with Nueva Trinidad, El Salvador. Hannah is thrilled to be joining the Reading Partners team for the 2018-19 school year. Born and raised in Washington State, she studied sociology and writing studies at Seattle University. Hannah’s interest in education began when she served as an AmeriCorps member with an organization that helps build literacy skills in underserved preschools. Following graduation, she moved her love of youth education abroad, and taught English in Spain for two years. The experience helped solidify her focus on international development and education access. She is happy to be home and eager to help grow and expand the volunteer base, while broadening engagement with new communities. She credits books with playing a pivotal role in shaping her own childhood, and hopes to help support young children as they cultivate their passion for reading. She loves rock climbing, hiking, and reliving her travels through culinary exploration.